these tulips were on my kitchen counter in this arrangement. i simply slid a piece of paper under them and took a photo. when my son saw me editing the photo just now, he said “no. just no.” (he often offers unsolicited feedback these days. he’s 14.) a little surprised, i asked him why not. “because it looks like you are trying to look like a moody aspiring photographer”, he said. so there you have it. 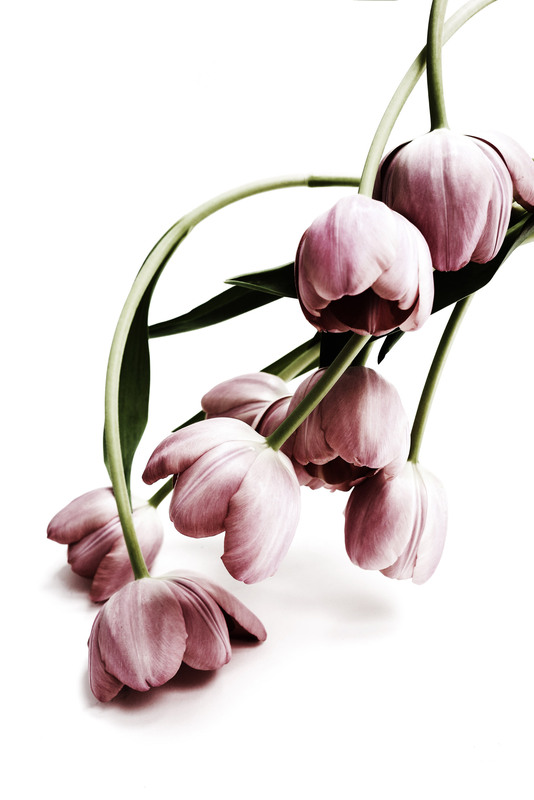 possibly a tumble of wilting tulips displaying graphic arcs and fleshy but newly wilting petal heads. or possibly a totally pretentious and empty flirtation with the moody dark side of still life. thank heavens for the teenagers these days. they march on washington. they tell the truth. they give no quarter. they might just change the world.